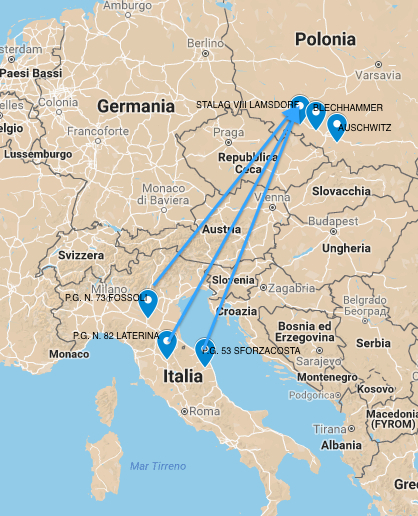 From Pow camp 73 Fossoli di Carpi to labour camps at Blechhammer, Heydebreck e Auschwitz. Between 19 and 21 July 1943 a total of 2,379 British1 prisoners of war who had been captured in North Africa and held for a considerable time in Italian Prisoner of War (POW) camps were “ceded” to Germany, after which they were transferred a number of German-run work camps located on Polish soil. From lists held in the archives of the Italian Red Cross it has been possible to ascertain the names of all the prisoners transported, along with the dates on which they left and the places from which they set out. By consulting various British sources it has emerged that the final destination for most of them was the huge camp at Lamsdorf or some of its numerous 'work detachments' (labour camps). What is not known however is the motive behind this operation. Why did the Italian Prisoner of War Office, which came under under the aegis of the War Ministry, decide to hand over to the German authorities more than 2,000 of the prisoners being held in its camps at that time? Was this a common form of collaboration between allies during times of war? Was it the outcome of a request by the Italian authorities, who were seeking to lessen the pressure on their increasingly overcrowded camps? Or even the consequence of a German request for the extra manpower needed to sustain the war effort? Could it have been a commonplace military strategy – the moving of British prisoners to a more secure location following the Allied landings in Sicily? Was this handing over of 2,379 prisoners the only instance of its type, or were there others? 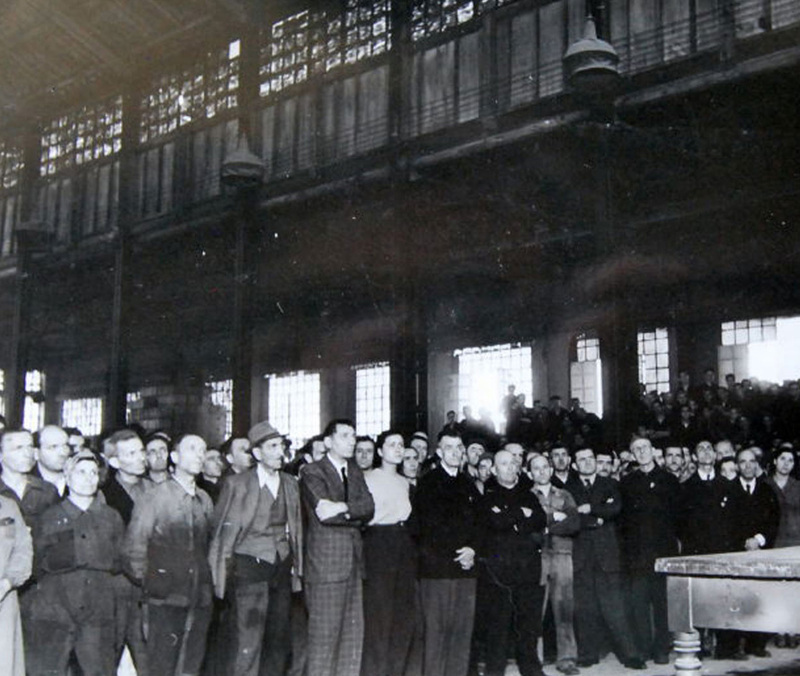 On 6 May 1942 the go-ahead was given for the opening of a camp at Carpi in the province of Modena, intended to house 4,000 prisoners. The camp – initially made up of tents, some of which were gradually substituted by barracks during the winter of '42-'43 – had come to house more than 5,000 prisoners by February 1943. 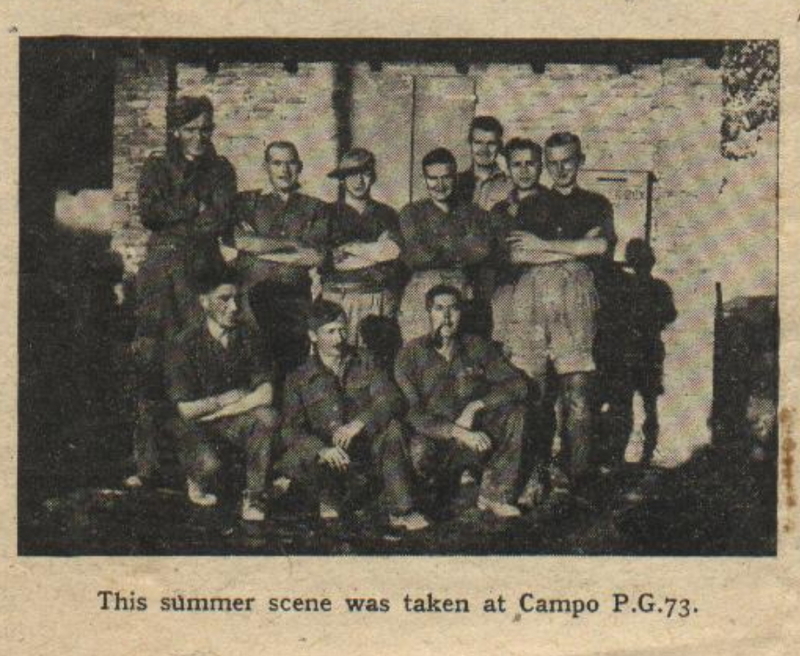 Attached to the camp, designated PG3 73, there were some labour camps set up to provide wood-cutters for the forestry companies which were active in the Modena area. The prisoners being held in Camp PG 73 – almost all of whom were British – had been captured during the military campaigns in North Africa and transferred to Italy during what became a general procedure: firstly they were held in a transit camp in Libya, then they were sent by ship to temporary camps in the south, from where a further transfer – not always the final one – took them to yet another camp. Henderson and Collins were two of the 332 prisoners on the list of soldiers who, having been ceded to Germany, left Fossoli on 21 June 1943. 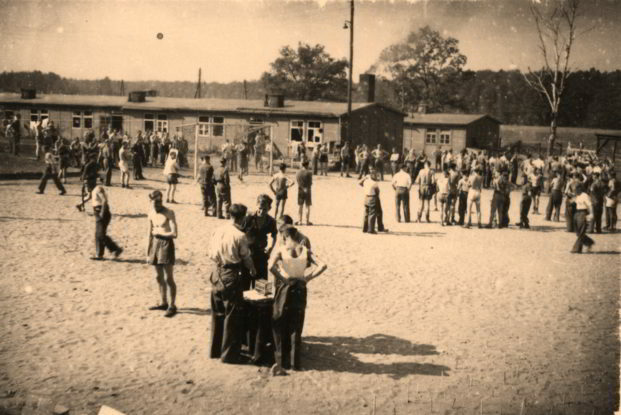 According to British documentary sources the destination of almost all these prisoners of war was the camp at Lamsdorf, Stalag 3446, an enormous German-run camp near to the Polish village of Łambinowice through which passed, according to various estimates, around 100,000 prisoners of war of different nationalities. Amongst them were considerable numbers of Italian soldiers who had been captured by the Wehrmacht following the armistice of 8 September 1943. Dependent on the Stalag at Lamsdorf were hundreds of Kriegsgefangenen Arbeitskommando, or satellite 'work detachments'(labour camps) for prisoners of war. According to a British report,7 in February 1944 there were around 10,000 British prisoners of war at Lamsdorf whilst a further 9,000 were being held in 255 associated labour camps. 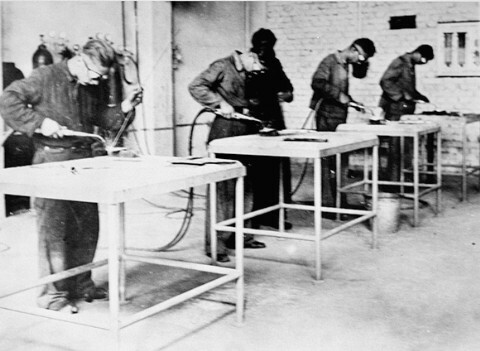 From a preliminary and partial analysis arrived at through the study of some Liberation Reports,8 it would appear that most of the British prisoners held in these associated work detachments were providing a labour force for the German chemical industry. Arbeitskommandos BAB 21, BAB 48, and E3 were based at the industrial complex at Blechhammer Nord; BAB 20, BAB 40, E769, E711 and E711A were inside the chemical plant at Heydebreck (or Blechhammer Sud); and lastly work detachment E715 was at Buna-Auschwitz. Other sources also confirm that throughout this period British prisoners of war who had been ceded to Germany and who had left Fossoli on 21 July 1943 were present at Blechhammer and Buna-Auschwitz. For example, it is known that during the repeated heavy bombing of the chemical plants at Blechhammer and Buna-Auschwitz by the United Sates Army Air Force, two British prisoners from Fossoli were killed and another was seriously wounded. Private J. T. Taylor suffered a series of fractures as a result of the Blechhammer bombing raid of 2 December 1944 which caused the deaths of thirty British prisoners of war. 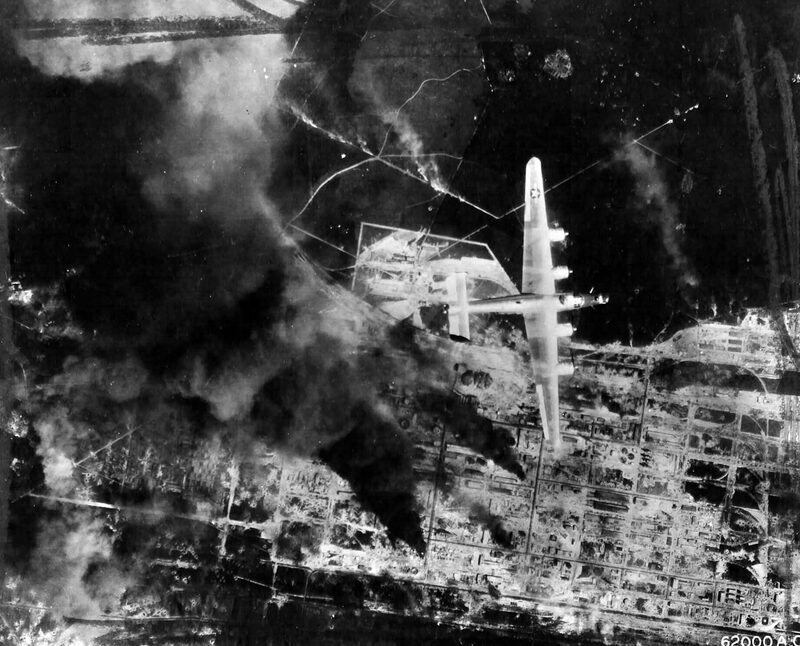 The first Allied bombing of the I.G. 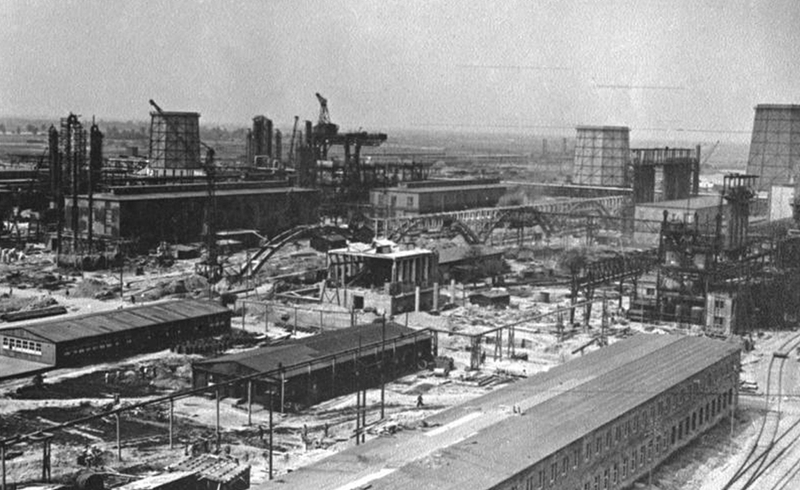 Farben plant at Buna on 20 August 1944 led to the deaths of Private Michael Black and Sapper Frederick Hughes. In the Appendix of Auschwitz. A British Pow's eyewitness account,11 a book which tells the story of Driver Arthur Dodd, a prisoner ceded to Germany from Camp PG 82 at Laterina on 22 July 1943, there is a list of British prisoners of war who were held in the work detachment at Buna-Auschwitz. Amongst them are twelve soldiers who had come from Fossoli: H. Burns, W. Cole, R. Cossar, J. Daniels, W. Deakin, W. Driscoll, L. Gordon Brown, F. Norman, G. O'Mara, C. Quartermaine, I. Rolls e V. Squires. Furthermore, two prisoners of war from Camp PG 73 at Fossoli di Carpi lost their lives during the long and terrible march which followed the evacuation of Blechhammer, of which more will be said later: Trooper Aubrey F. Ogden (who died on 18 February 1945) and Driver Raymond Rogers (who died on il 21 February 1945). Information about the living and working conditions to which the prisoners of war at Blechhammer were subjected can be gleaned from reports produced by the International Red Cross and also from documentation supporting the accusation of illegal treatment of British prisoners of war (not in line with what was laid down in the Geneva Convention). On the other hand, thanks to their status and to help from the International Red Cross, the British prisoners enjoyed relatively decent living conditions which were undoubtedly better than those enjoyed by the prisoners and deportees coming from other nations. The short distance (just a few hundred metres) between Monowitz concentration camp and l'Arbeitskommando E 715 at Buna-Auschwitz allowed a fair number of British prisoners of war who were being held in the latter to witness the treatment meted out to the Jewish slave labourers at I.G. Farben, who were literally worked to death. Starting from the summer of 1944 the industrial sites at Blechhammer and Buna-Auschwitz were repeatedly the objects of American air raids which, as has already been indicated, caused the deaths of many British prisoners of war. The Geneva Convention, which regulated the treatment of prisoners of war, was constantly violated, and at no time did the prisoners enjoy any type of protection from this danger. During the first air raids the German guards even prevented the British prisoners of war from leaving their work place, a concession which was made however to the German civilian workers. Only after a considerable number of protests, and many dead, did the British prisoners of war manage to obtain permission to build adequate protection for themselves and to leave the factory upon hearing the air raid sirens. The request that their work camps be relocated to a more secure place less exposed to danger was never granted. The continuing air raids, and more importantly the Soviet Army's westward advance, finally forced the Germans to abandon the factories at Blechhammer and Buna-Auschwitz. On 21 January 1945 all 2,000 British prisoners of war present in the various work detachments at Blechhammer lined up in columns and sent on a 13-week march which took them to Stalag VII A at Moosburg, in Bavaria, where they arrived on 12 April 1945. Amongst the dead, as has been already indicated, were two of the prisoners who had been transferred from Fossoli. On 29 April 1945 the British prisoners of war at Stalag VIIA Moosburg were liberated by American troops. The term British includes prisoners of war from the British Dominions – Canada, South Africa, Australia, New Zealand and India. PG - Prigionieri di guerra – Prisoners of war. The National Archives, (TNA), Liberation Report, WO 344/141/1. TNA, Liberation Report, WO 344/69/2. TNA, War Office. Casualties (P.W. ), 0103/5725/ 9 August 1944, Official Reports on the Camps, WO 361/1871. 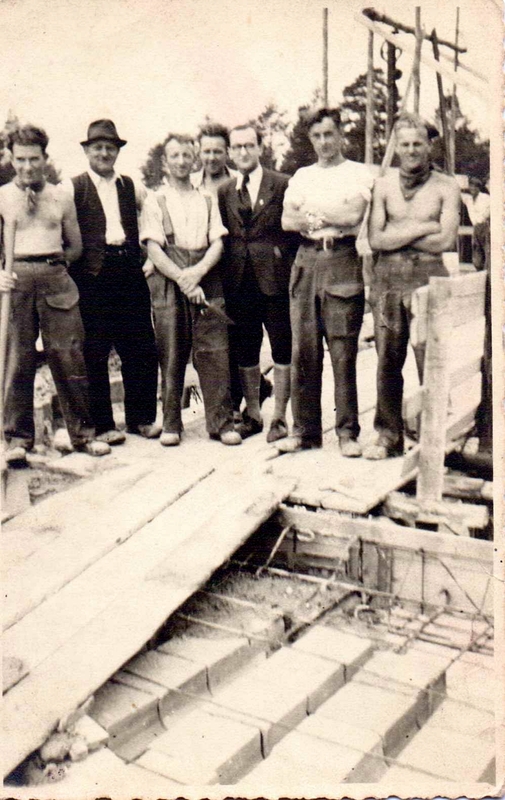 The remaining four prisoners in our sample declared that they had been held prisoner in the main Stalag at Lamsdorf (in three cases) or that they had worked initially in a sugar beet factory and then in a coal mine (one case). C. Rushton, Auschwitz. A British Pow's eyewitness account, Summersdale Publishers Ltd, ed. Revised version 2013. TNA, International Red Cross Committee, Bau-und Arbeitsbataillon 20, visited on 29 April 1944 by Dr. Rossel and Dr. Lehner, WO 361/1871. TNA, Liberation Report, WO 344/276/2. TNA, Affidavit, Marine Norman Liversedge, London, 7 September 1945, WO 311/187. TNA, International Red Cross Committee, Bau-und Arbeitsbataillon 21, visited 1 May 1944 by Dr. Rossel and Dr. Lehner, WO 361/1871. TNA, Affidavit, Private Thomas Swinburne Blythe, Gosforth, August 1945, WO 311/187. TNA, Affidavit Robert Robertson, 26 October 1945, WO 311/187 Sheet 123. TNA, Affidavit James Sudds, 14 November 1945, WO 311/187 Sheet 126.